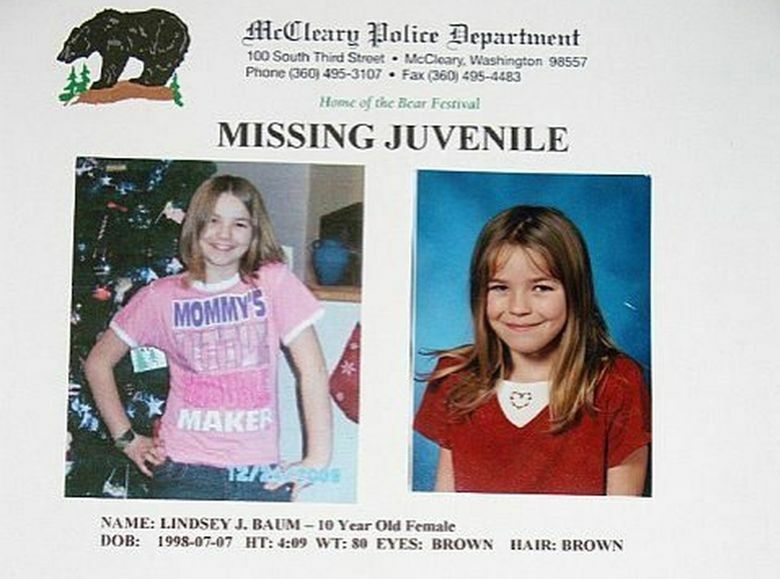 Skeletal remains were found in the area 20 miles west of Ellensburg this past fall, and DNA testing identified them as those of the Grays Harbor County girl who disappeared in 2009. ELLENSBURG — A rugged, 2-square-mile area west of Ellensburg remained closed Monday as a search for evidence into a McCleary girl’s homicide continues. The area is described as heavily timbered steep terrain with large cliffs and deep ravines, according to a Kittitas County sheriff’s news release. Skeletal remains were found in the area 20 miles west of Ellensburg last fall, and DNA testing identified them as Lindsey’s, according to Grays Harbor Sheriff Rick Scott. Grays Harbor sheriff’s detectives and the FBI are the lead investigators on the case.